The Latvian forward is ready to move to Khimki until the end of the season. Olympiacos small forward Janis Timma will be moving to Khimki on loan until the end of the current season according to Eurohoops sources. Timma signed a two-year contract with the Greek team last summer and will return in Piraeus after the end of the season. Until then, coach David Blatt wants to free the player since he doesn’t have a spot in Olympiacos‘ rotation for him. 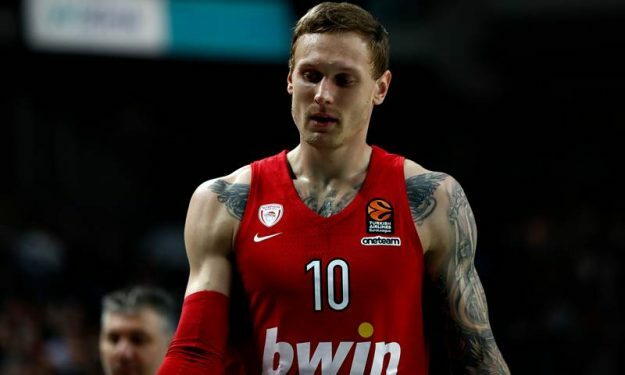 The Latvian player so far averages 3.4 points and 0.9 rebounds over 11 minutes in 23 EuroLeague games with Olympiacos, however, he will not be eligible to play in the competition with Khimki, just in the VTB League. The talks between the two sides have been finalized and an official announcement is expected soon.